Every morning during the week I eat an apple and a piece of toast with peanut butter and honey. It keeps me full until my lunch break. 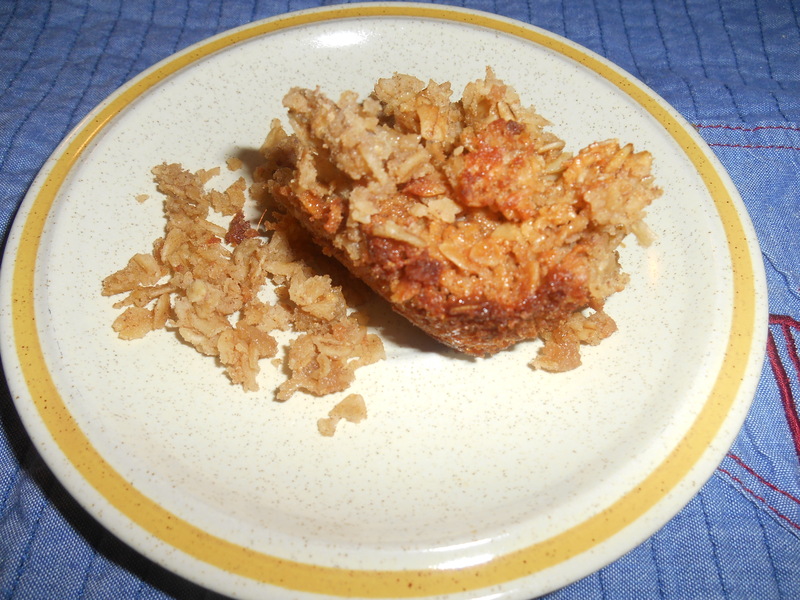 But I wanted something more fun and different, so I made baked oatmeal. and I strongly recommend it!! I had a lot of oatmeal because I stopped eating it regularly, and this recipe uses 3 cups. YAY! Now it’s almost gone. In a large bowl, COMBINE DRY INGREDIENTS: oats, brown sugar, baking powder, salt and cinnamon. In another bowl, whisk eggs, milk and melted butter. Stir into oat mixture until blended. Spoon into a greased 9-in. square baking pan. Bake 40-45 minutes or until set. (Serve warm with milk.) Yield: 9 servings. I cooked for about 43 minutes before checking, and it looked done, so I took it out and let it cool. I ate a couple of pieces warm, and a piece this morning after refrigerating and did NOT heat it up – it was still delicious cold! As you can see I have already enjoyed 3 pieces. I found it difficult to cut into 9 pieces; I did 12 (3×4) instead. They are good sized. This morning’s piece! Mmmm! APPROVED. I’ll probably eat this for dessert some days too. I’ll try to update again with how long I stay full! 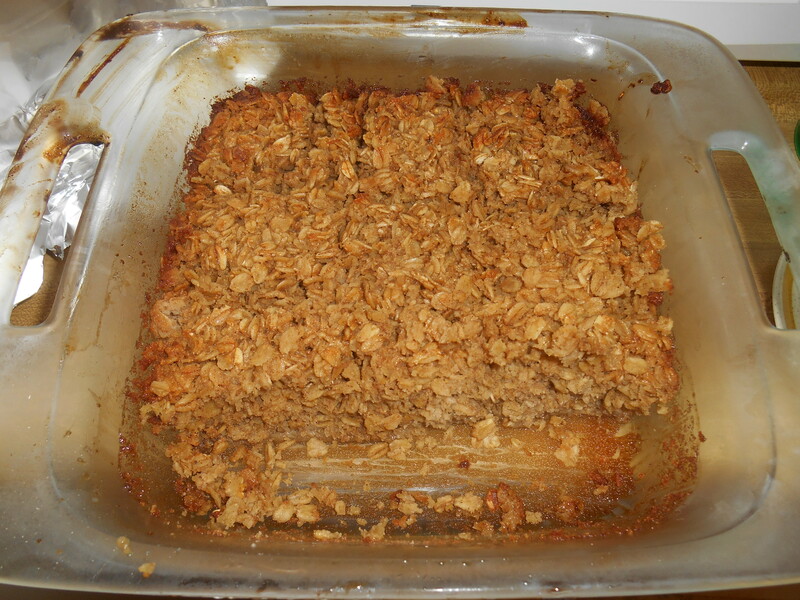 This entry was posted in How-To, Recipe and tagged baked oatmeal, baking, breakfast, cooking, easy, healthy, recipe. Bookmark the permalink.